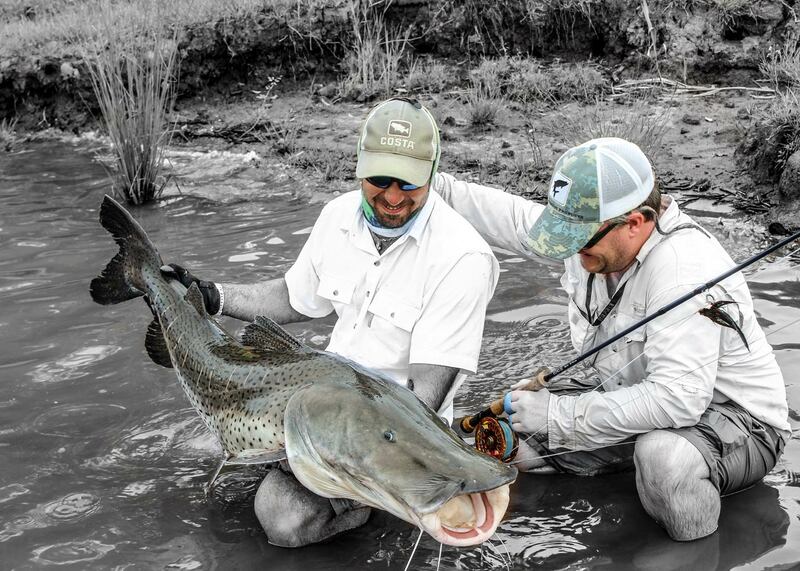 A unique fishing trip in untamed clear waters featuring gourmet food, personalized service and lodging within rustic, elegant interiors. 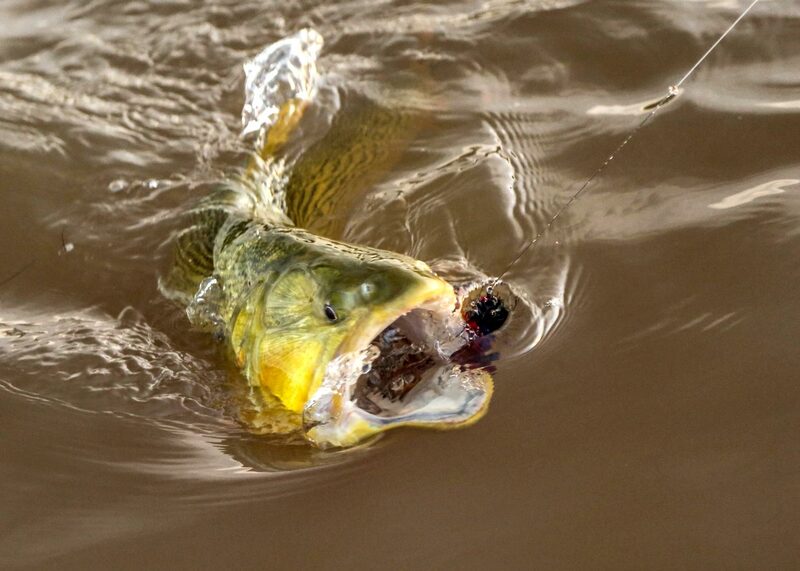 Come face to face with the Tiger of the River, surrounded by Golden waves as you set the hook, a Golden Dorado with a scowl on his face angry as hell, will suddenly jump three feet in the air showing his teeth before diving back into the river, busting your reel with his aggression. Take the challenge. What are you waiting for? 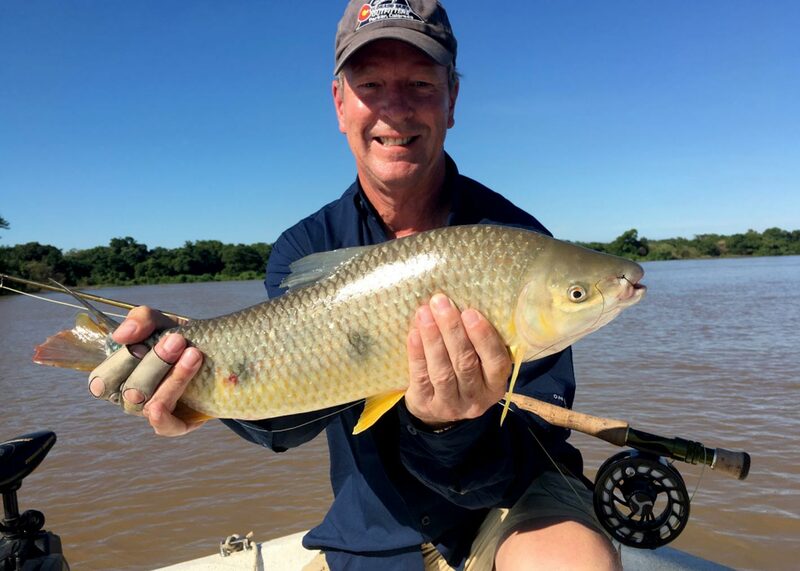 The fascinating Golden Dorado fish and its huge jumps above the water, the location near the Paraná River, the wildlife and the excellent food (you’ll definitely not starve!). Above all, the personalised service offered by Vittorio y Vicente really makes the difference. They organized a car trip to the awesome Iguazu falls at the end of our stay. Highly recommended! 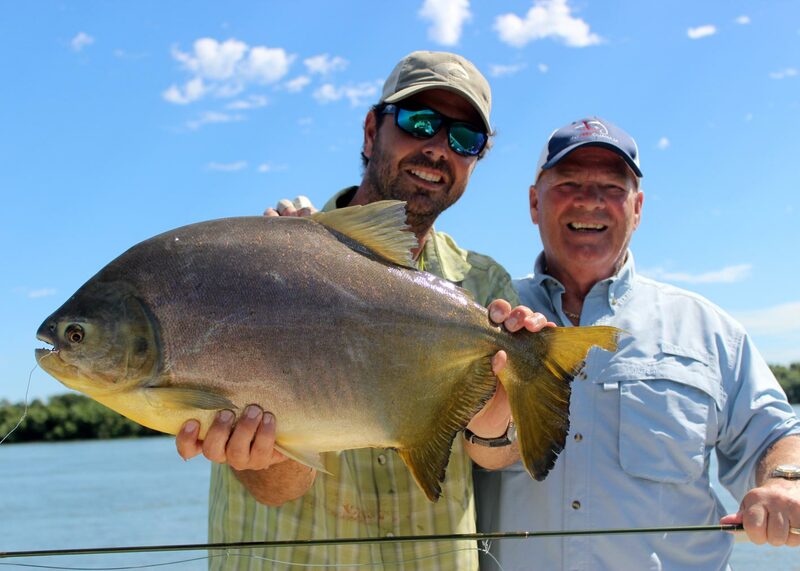 After fishing all over the world, I was curious about fishing on the Parana River. The Fly Fishing itself was excelent, but also requires a well skilled Fly Fisher. The hospitality in the Lodge and the professional guiding can’t be topped. Go there and you will have a fantastic time. 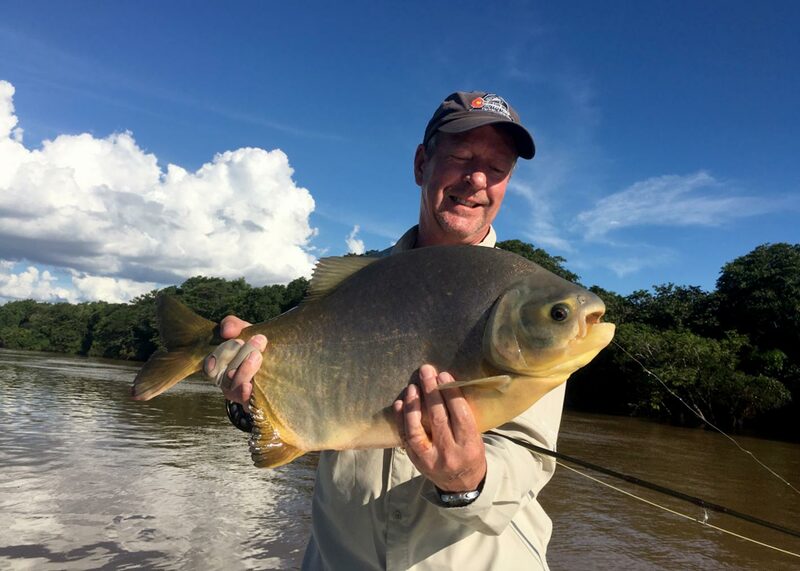 The fishing was phenomenal and whilst I was lucky enough to land the Parana “grand slam”…Boga, Dorado, Pacu and Pyra Pitá, the Dorado fishing is in a class of it’s own. 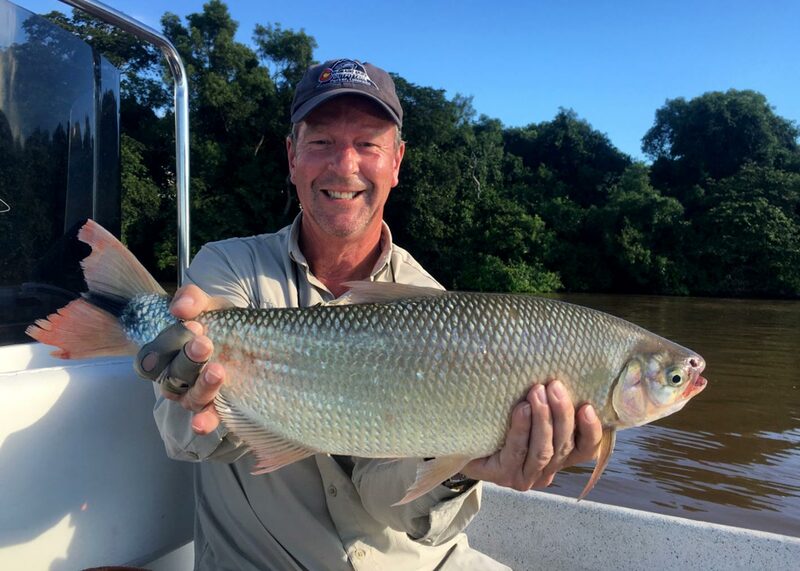 For anyone in the USA looking for the chance to catch Golden Dorado, this Lodge is unbelievable value for money, the team is outstanding and highly recommended. Our second trip to Golden Fly Fishing: we LOVE this place! Outstanding lodge, fishing, food (!!!) & most importantly, the people. Vittorio & Vicente are talented, warm, loving & delightful. Plus, when no one else on the river is catching fish, we’re having multi-fish days. Best Guides On The River. A special thanks to the crew of Golden Fly Fishing for letting us live a fantastic week teaching us the fly fishing on the Rio Parana. Thank you for your friendship, your sublime cuisine and personal attention that you have provided during each fishing trip. I had the chance to share several times with Vittorio and Vincente the magnificent place that is Paso de la Patria. Besides the personal and professional attention, nature offered us a unique place in the world. It was an exquisite sensation to have a dorado or a pira pita catching my flies. For sure, I am going to enjoy again more in the future. 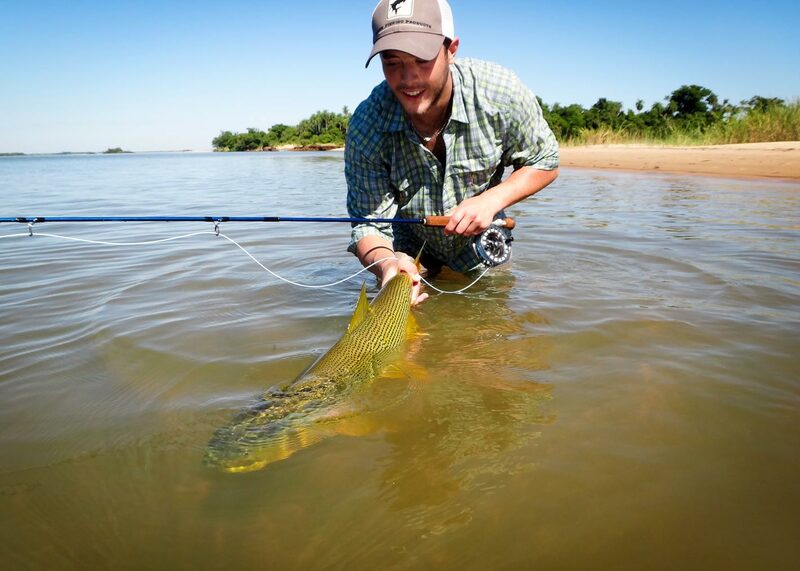 Unique excitement and euphoria as you play our autochthonous species: Golden Dorado, Pira-Pytá, Pacú – a must have on your bucket list! Our regional cuisine is inspired by the culinary greatness of our Italian ancestors and paired with world-renowned wines. Enjoy the private and friendly atmosphere at our colonial-rural style lodge in the small, picturesque town of Paso de la Patria. 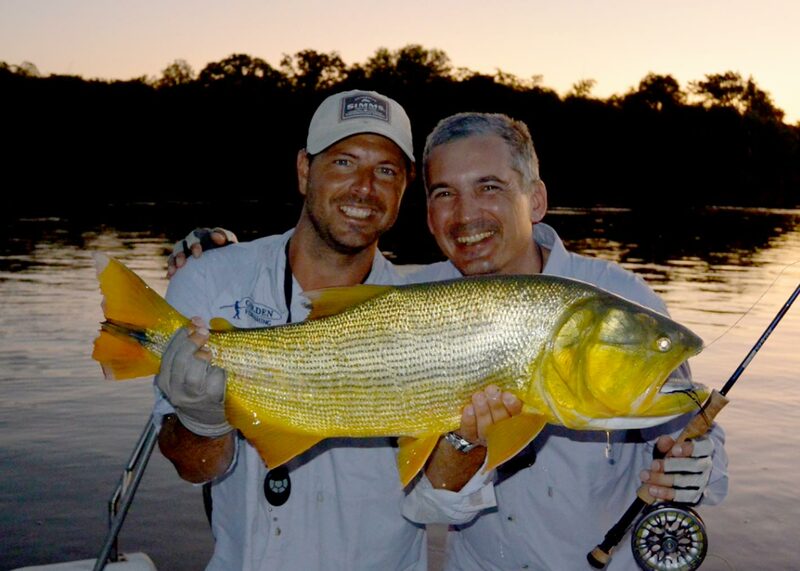 Enjoy the best fishing spots of the High Parana river. 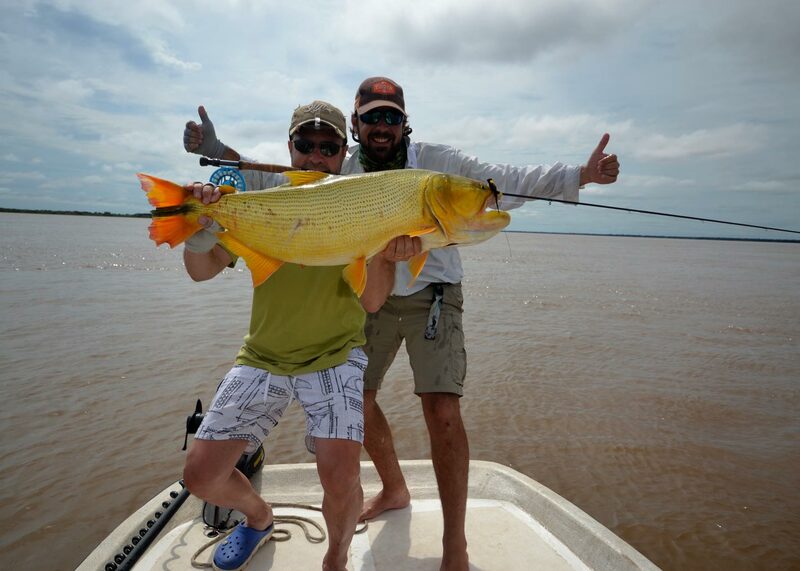 You will have the opportunity to challenge the three most coveted and voracious species of Argentina and achieve the freshwater Grand Slam: Golden Dorado, Pirá Pytá and Pacú. You can also expect to catch several other sporty species. This is the most exciting freshwater species in South America. It has Tarpon-like tendencies and is known for its aggressive strikes, finger-burning runs, acrobatic fights, and overall beauty. We need to have quick-action #8 light rods, strong reels and saltwater lines. For detailed information about gear and tackle please download our full and detailed Check List. This treasured species is as difficult to find and catch as the saltwater Permit. 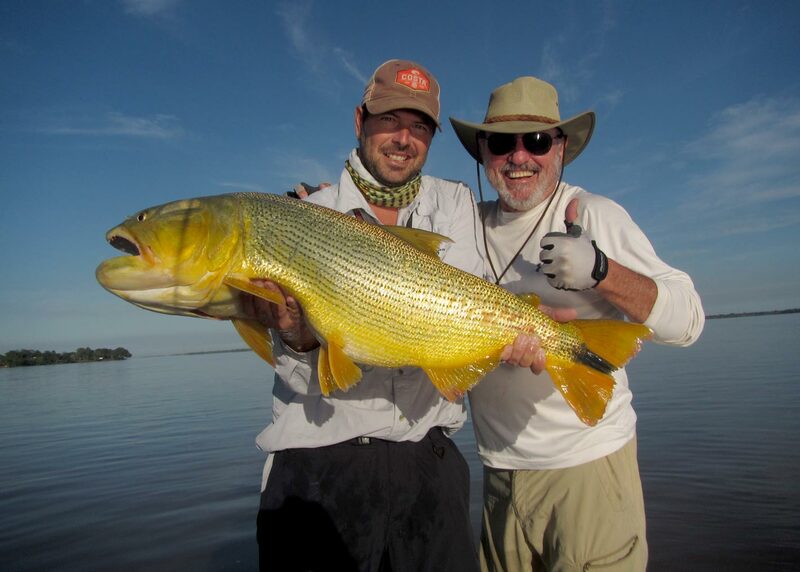 Found only from December to April, it’s a highly coveted fish by serious anglers who seek to complete the Golden Fly Fishing Grand Slam. With Bonefish-like speed, this freshwater fish is known for its line-ripping runs and fierce fighting. It is undoubtedly one of the most exquisite fishing experiences that our region offers and requires the your utmost focus and precision casting dry flies. This is one of the founding principles of our company and we seek to transmit it to our clients. 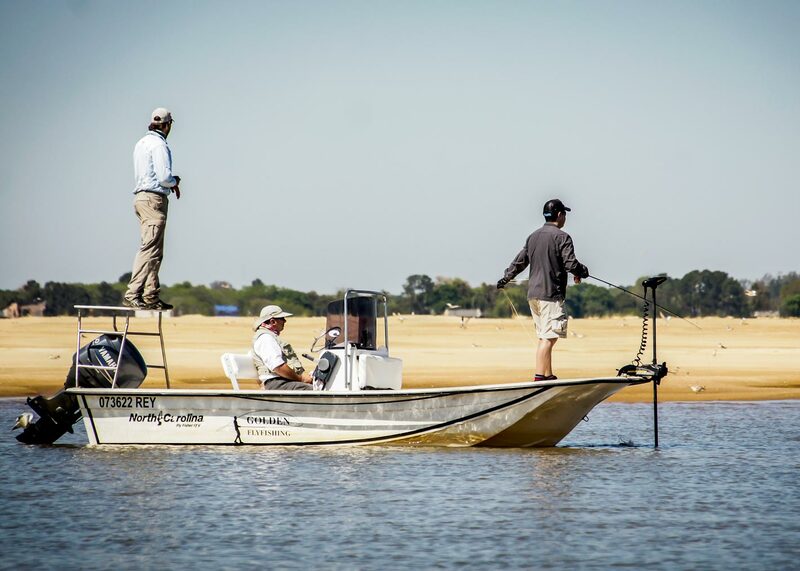 Our fly fishing clinics for clients and local fishermen help banish the “catch-and-kill” culture that negatively affects the majestic Paraná River. We participate in natural resources research of public and private organisms destined to the study and preservation of the fish of our environment. Join us! Get in touch today and find out our special rates!